You can, if you really want, pretend that you knew all about the difference between gender and sexuality. And you could claim that you didn’t need Bruce Jenner to tell you on Friday in one of the most remarkable – and educational – TV specials we’ve seen in years. I can’t. I was as clueless as Diane Sawyer seemed to be when she was made to understand that Jenner, even as a woman, would continue to be sexually attracted to women. What hit me full force at that moment in that amazing two hours of network television is not the complexity of the transgender experience – that subject about which most of us know almost nothing. What hit me was the almost unfathomable subject of human sexuality, about which most of us pretend we actually know a thing or two. Among so many other things that Jenner taught us on Friday is that we don’t. What engages human sexual desire remains one of the most complicated subjects of all. How could we help making jokes about it for a few thousand years? It seems that the objects of human attraction approach infinite variety. The tale that Jenner and Sawyer told us about gender, though, was surprisingly simple and powerful, and entirely congruent with what we’ve heard from others. We can’t exactly call it “familiar” – transgenders aren’t common and they’re not ever likely to be – but anyone who had paid attention to others’ stories has encountered the same landmarks before: most notably, the conviction early in life that one’s body – and its gender – and one’s inner sense of self are in hopeless conflict. To the degree that we’d heard about it before from tennis pro Renee Richards and travel writer Jan Morris (who never required a name change), composer Wendy Carlos (who, as Walter, made the once-famous big-selling LP “Switched On Bach”) and “Matrix” film director Lana Wachowski (who began his career as Larry), we knew the outlines of the transgender story. Its increasing visibility made Sawyer’s two hours with onetime Olympic decathlon gold medalist Jenner as necessary as they were extraordinarily informative and admirable. ABC’s guess, before it aired, was that between 15 and 20 million people would watch. The final number was close to 17 million people, which made it the highest rated ABC show on Friday night in 15 years. In one sense, it truly was exploitive; Jenner’s story is going to become a reality series on the E! network, not exactly a place where intelligent and intellectually curious people flock to explore the more profound vagaries and conundrums of the human species. But in a truer sense, Jenner’s most significant transformation – into an explanatory public narrative to eliminate almost total public ignorance – requires such a popular TV genre, however suspect it may be, for fuller understanding. I need to be personal about this subject. The most significant moment in my professional life as a critic for this newspaper involved the most famous transgender person in America at the time. It was 1970. I’d been working as a writer for The News for about eight months. I was getting into the subjects I cared most about – movies, music, books. An unprepossessing B-movie called “The Christine Jorgensen Story” was opening at a downtown theater. I volunteered to review it. In my hopelessly callow, 25-year-old mind, I planned to have all sorts of fun with Jorgensen and the film, flinging wisecracks and pronouns around for maximum comic effect. It never occurred to me to do anything else. The News’ first arts editor, Terry Doran, assigned the film instead to John Dwyer, then 56, The News’ veteran classical music critic who loved reviewing movies as often as he could. Dwyer reviewed the film, quite rightly, as what it was – a lesser attempt to tell the extraordinary story of a radical crisis in human identity. There were no wisecracks. It was an enormously compassionate piece about a story that had usually been treated as a tabloid sideshow. Dwyer, by example, changed my life as a critic. I realized that the job, first and foremost, was to understand and present what you understood as a human being. There’s nothing wrong with being funny, but gag-writing isn’t a critic’s job. Trying to understand art and the species that creates it is the job. I’ve never been the same since. I hope Sawyer’s interview has a similar effect on younger TV journalists. Sawyer is 69 years old. Her husband, film director Mike Nichols, died in November. In his lifetime, Nichols directed, among other films, “The Birdcage,” the American version of “La Cage Aux Folles.” My guess beforehand is that there was no way Sawyer was going to cheapen her two hours with Jenner. And she didn’t.She did, for two hours, what any good journalist would do: She tried to understand a subject fully and present to those watching the result of her effort to understand. The upcoming E! show she was accidentally promoting was irrelevant. But even that show is going to be eye-opening about a little-understood corner of human life. At the end of Sawyer and Jenner’s two hours, the key moment came. Jenner led Sawyer to his closet of female clothes. 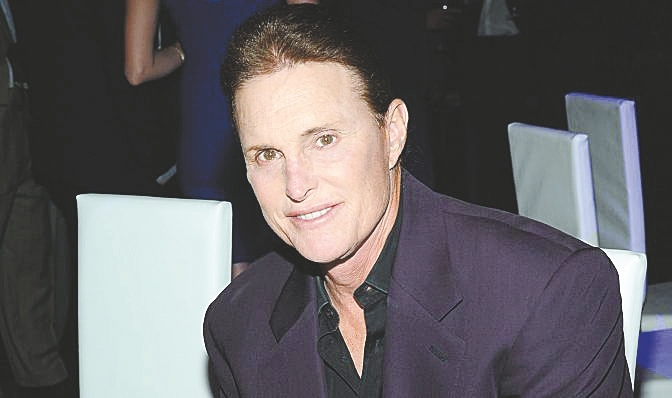 Sawyer told the viewers that she and Jenner were going to eat out together that night – Jenner dressed as a woman. There, as they say in showbiz, would have been the perfect “reveal” to end the show, the “money shot” – Jenner in a dress. We never saw it. I don’t think it was ever the intention of either Sawyer or Jenner to show us. It was two extraordinary hours of education in humanity and compassion, not two hours of sensation and exploitation. No one can pretend it’s a huge subject. It’s not. But the way Sawyer and Jenner dealt with it, it was truly great – and educational – television.